Big game spotting in the Masai Mara. Visit to a Masai village. Game drives in the Serengeti and Ngorongoro crater. Bike to the shore of Lake Manyara and enjoy a traditional Swahili lunch and tree top canopy walk. Explore Tarangire National Park – the quietest and best place for elephant viewing. 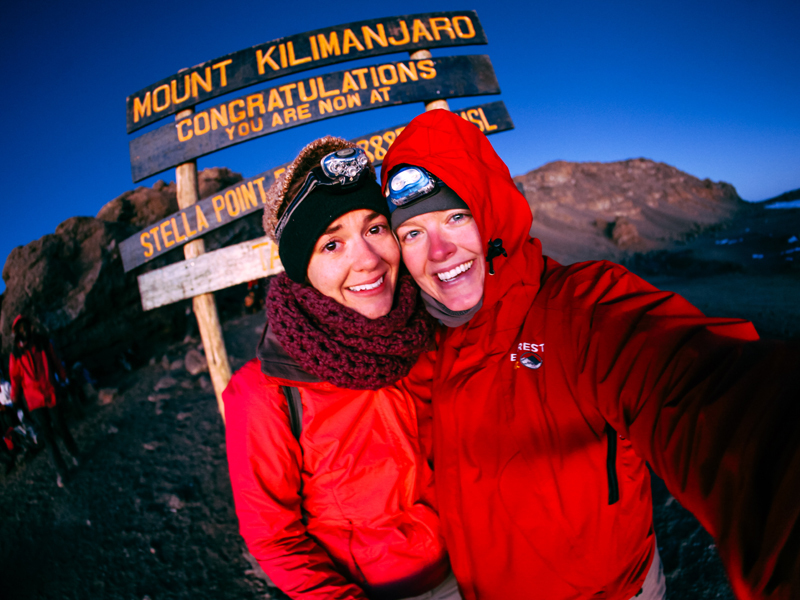 Trek the amazing Rongai route to summit Mount Kilimanjaro. Included meals, All breakfasts, 17 lunches, 16 evening meals. 2 comfortable hotel nights, 17 camping including 10 nights of full service camping. Convenient Nairobi circuit for low cost and frequent return flights. Travel in our iconic overland truck between locations. Services of our tour leader, Co-driver/Cook and specialist trusted local guides. Departs in February (the wildebeest calving season), and June, July, August, September which are the best opportunities to see the great migrations.